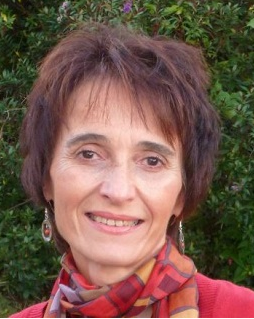 Svetlana Cicmil, Director of Doctoral Research in the Bristol Business School and Bristol Law School is to receive a lifetime achievement award for her research activities. Svetlana will be the 2017 recipient of the Project Management Institute (PMI) Lifetime Research Achievement Award. The PMI are the world’s largest professional body in the field of project management with 500,000 members across the globe, promoting and advancing the profession worldwide. The annual award is given to individuals or groups in recognition of outstanding contribution that has significantly advanced the concepts, knowledge, and practices of project management through a unique, influential and sustained published body of academic research. Svetlana receives the award for co-founding and leading a scholarly movement known as Making Projects Critical, and authoring a related collection of work including research monographs, book chapters and peer-reviewed papers over the past decade. I am very proud of this award. It tops up a number of other national and international recognitions of the research my team and I have done to highlight new theoretical avenues and understandings of project-based organising, project management practice and projectified society. I would like to emphasise a wider and equally important aspect of the award – my teaching and engagement with practitioners during my long-standing career here at UWE that has significantly informed and, in turn, been enhanced by my studies in this field. I’m grateful to all my students and colleagues for their support. Svetlana will receive her award at the PMI Professional Award ceremony in Boston, Massachusetts on Wednesday 14 June.